Seeheim Hotel: if you are tra velling to Lüderitz and you are looking for accommodation with a difference (you've sampled semi-subterranean desert igloos, luxury tents with reed-encircled bathrooms, bungalows built around boulders and had your fill of thatch), the recently-opened Seeheim Hotel is the answer! 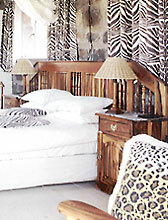 This small old-world stone hotel nestles in rustic splendour and the shade of ancient palms, (45 km from Keetmanshoop just off the B2 to Lüderitz) and offers a refreshing change from the hustle and bustle of modern living. Seeheim can be reached by taking the dirt road from Grunau via Holoog and Klein Karas. It is situated about 1 km from the road where the dirt road joins the tarred road between Keetmanshoop and Lüderitz. 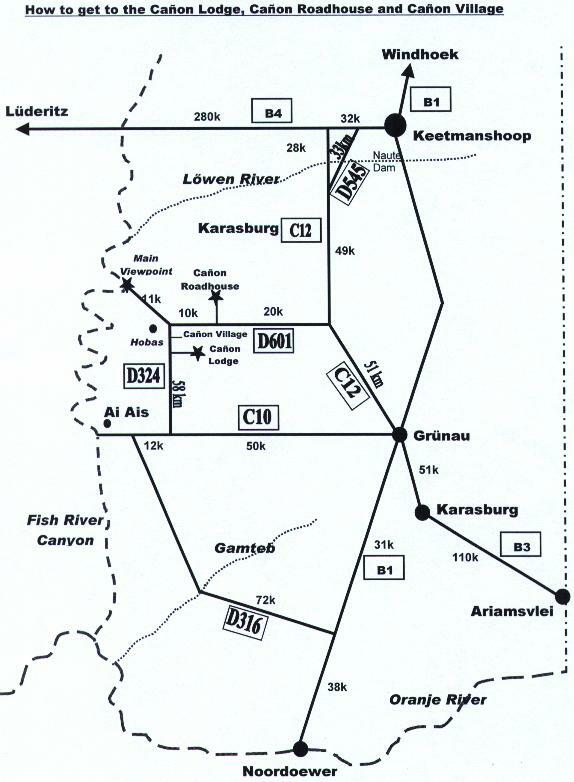 It is 45km from Keetmanshoop and 310 km from Lüderitz. It can't be seen from the road as it is in a dip behind a mountain in the Fish River. Recently renovated, the hotel boasts all the comforts of quality hotel accommodation without losing any of its authentic qualities. After standing empty for 30 years, Zirkie Kloppers renovated the building and brought it back to life. The new Seeheim Hotel offers 16 en-suite single, double and family rooms a dining and breakfast room (wholesome "boerekos" with the emphasis on game specialities), a swimming pool and outdoor recreational area with barbeque, a well stocked bar, TV (M-Net and DSTV), a shop with basic necessities and curios, and a petrol and diesel outlet. The uniqueness of the Seeheim Hotel and its original setting have been captured in three feature films and its verandah has undoubtedly been the venue for the largest number of dances held in the south. The place has unique and interesting history.